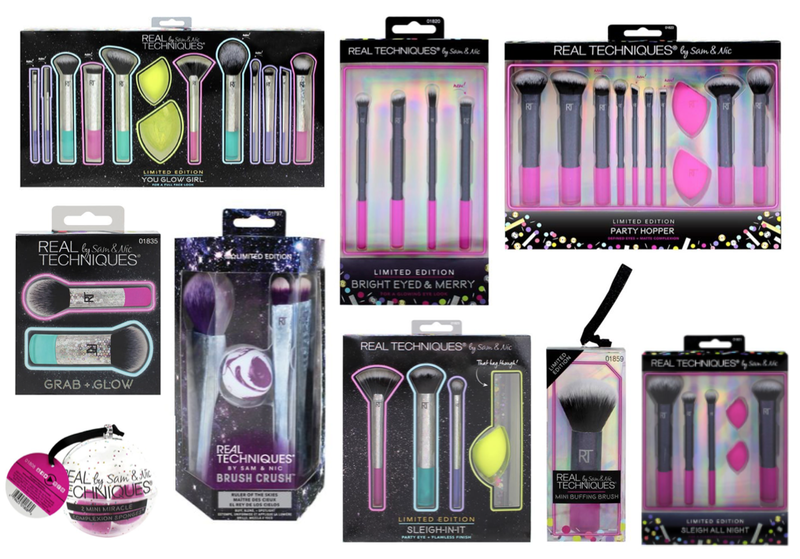 Real Techniques is one of my favourite makeup brush brands and I always pick up one of the Christmas sets every year. I think this year it will have to be the Brush Crush one as I have been dying to try those brushes! There are different sets at Boots and Superdrug this year, each of the stores has 3 for 2 on these as well. Ruler of the Skies £35 - Includes three brushes and one sponge from the Brush Crush Vol.2 collection. Sleigh All Night £25 - Comes with two mini sponges, one eyeshadow brush and three face brushes. Mini Miracle Sponge Bauble £6 - Two mini miracle complexion brushes inside a Christmas bauble. Mini Buffing Brush Ornament £6 - A mini foundation brush that's ready to hang on the tree. Bright Eyed & Merry £16 - A four-piece eye brush set including one brand new brush. Party Hopper Brush Set £80 - An 11-piece collection that I think will be a star gift! Sleigh It all Night Set £30 - Includes three makeup brushes, a beauty sponge and a cosmetics bag. Grab & Glow Gift Set £16 - Includes two mini-sized makeup brushes for the face. You Glow Girl Set £70 - Similar to the Party Hopper set at boots, I think this might be a star find at Superdrug!